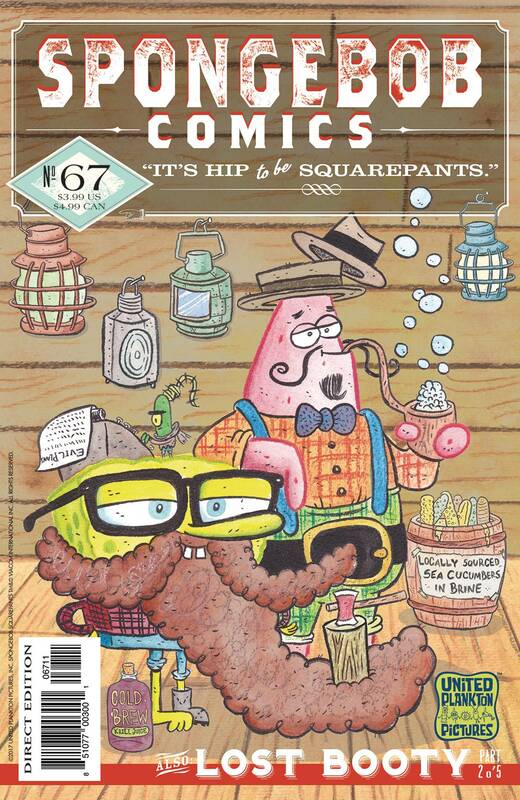 In 'Sandwich Panic,' Patrick and SpongeBob discover a hipster cafe with artisanal, locally-sourced sandwiches that are more delicious than Krabby Patties! SpongeBob must stop this upstart eatery, even if it means teaming up with the nefarious Plankton! And in part 2 of 'Lost Booty' freebooters Fanboy Beard and Deckhand Dottie continue their mad race to track down the lost SpongeBob comic by the Mad Pirate Pencils! All this plus 'SpongeFunnies' by James Kochalka, facts about pirate pets, and more!